We created a special blend of Royal Blue pearl metallic kandy fading to jet back as the background for this truly original art piece. 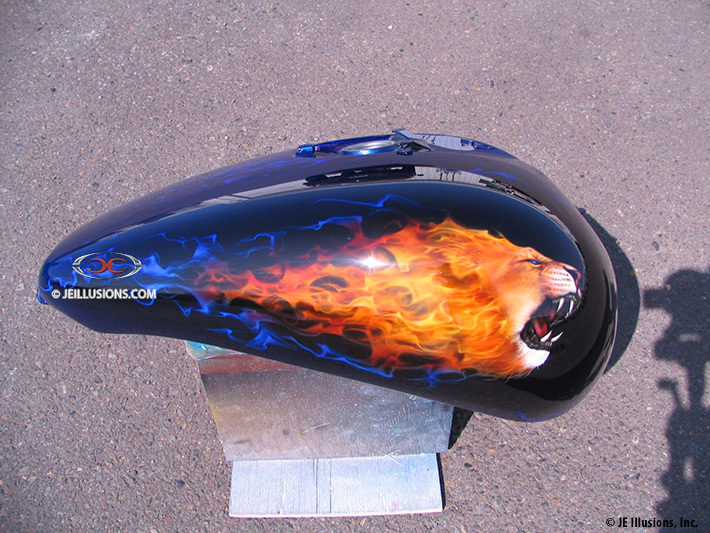 This blue was sunk with eight coats of kandy royal blue. 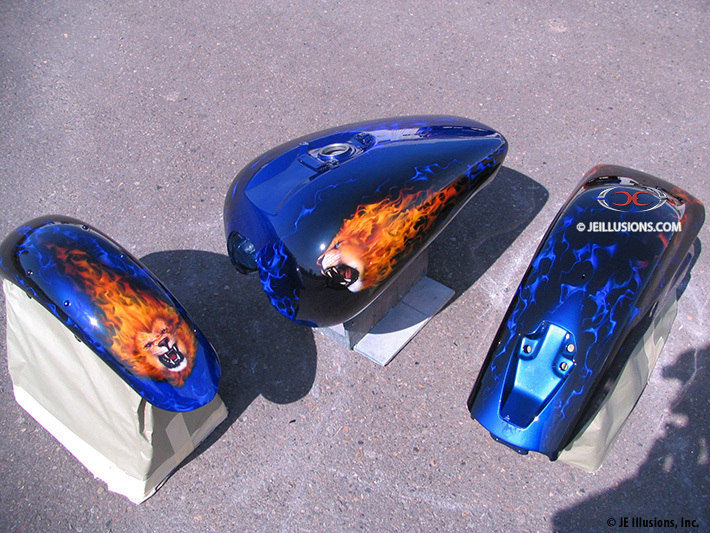 The main design features two different freehand airbrushed flame styles with aggressive looking lion murals making an attack with vivid kandy blue eyes. 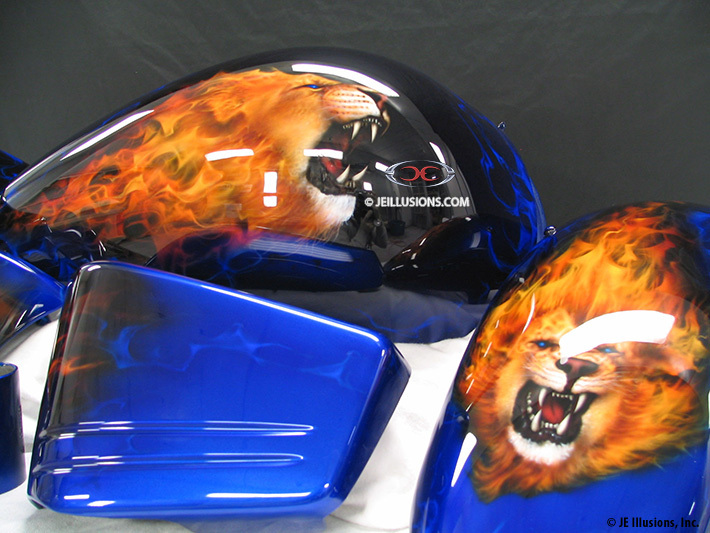 The detail and dimension to these lions are amazing including how the lions mane is on fire fading back into blue fire and finally into the under base. 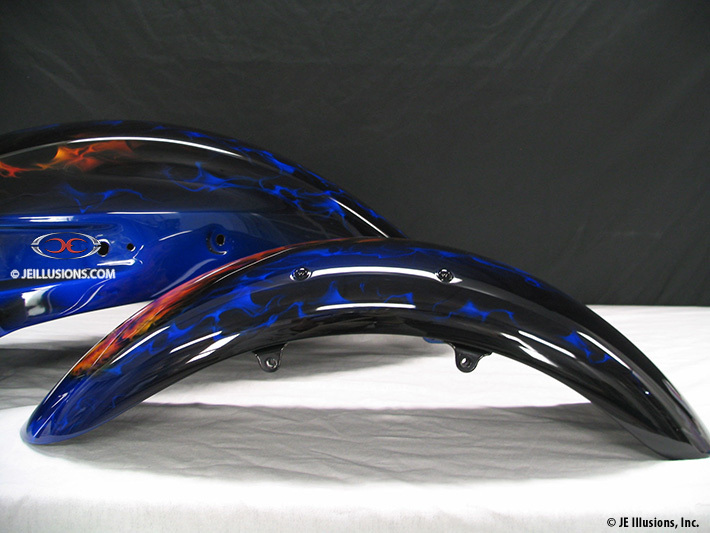 This is one of those paint jobs you must see in person because it's 100 times better than the pictures!